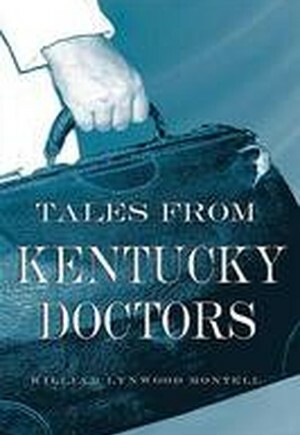 The nearly 350 humorous, heartwarming, and sometimes tragic accounts presented in William Lynwood Montell's latest book, Tales from Kentucky Doctors, offer an unusual perspective on the culture and tradition of Kentucky health-care practice. From the laughable to the laudable, Tales from Kentucky Doctors present illuminating portraits of doctors and patients, drawing stories from physicians with lifetimes of experience serving Kentucky families. In chapter 2, doctors recall the successes and failures that shaped their early careers. For Dr. Baretta R. Casey of Hazard, becoming a doctor was a difficult journey. Already married and with a child, Casey enrolled in college at age thirty, later completed medical school, and began a successful career as a family practitioner in the 1990s. Though patient visitations and doctors' prescriptions are recorded on account ledgers, personal relationships and memories are not part of medical records. The section "Personal Practice" gives a glimpse of the intimate relationships doctors form with their communities. "I doubt that any individual was nearer to the family than the family doctor," Dr. W. L. Tyler says in one story. For many towns, family physicians were heroes. Dr. James S. Brashear relates the challenges of practicing in Central City, a coal mining town, recalling an incident in which he saved the lives of two miners. Handed down to Montell in the oral tradition, the tales presented in this collection represent every part of the state. Personal experiences, humorous anecdotes, and local legends make it a fascinating panorama of Kentucky physicians and of the communities they served.